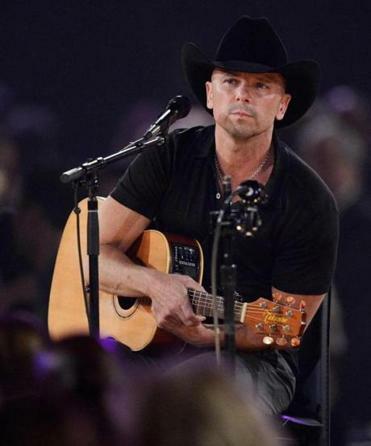 In 2005, stadium country king Kenny Chesney released a quietly thoughtful album called “Be As You Are (Songs From an Old Blue Chair)” that featured some of his best songwriting to that date. Chesney returns to that reflective, often acoustic, place for “Life on a Rock,” out Tuesday, and again hits a high-water mark. “Rock” finds a pirate looking at 45 and instead of disappearing hazily into a bottle of rum, he takes sobering stock. While he has always trafficked in nostalgia, instead of simply wanting to go back in songs like “When I See This Bar” or “It’s That Time of Day,” the singer makes the bittersweet realization that even if you return to the same place with the same people, the experience might be great in its own way but it won’t ever be the same. Kenny Chesney plays Gillette Stadium Aug. 23 and 24.